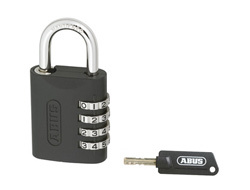 ABUS already has a combination lock with a masterkey called the 78kc/50. 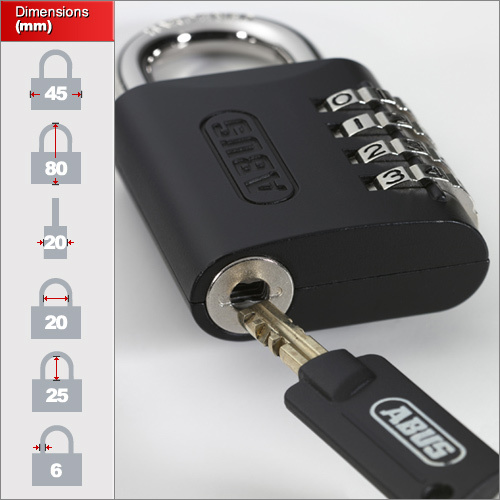 A hugely popular lock which we still sell many of. However, the problem is that it is fixed to a code and if that code is forgotten then the lock has to be scrapped. This verson is much easier to use, can be reset to your own code easily without the key and then the key can also open the lock and reset the code. Where is this lock best used? This lock is designed for use in schools, gyms and universities where the locks can be sold to the students / customers and then admin holds onto the masterkey. For this reason we will not sell this lock to individuals and restrict it's sale to a minimum of 5 units. We do this since some customers require different amounts and some, who already have a number of these locks, do not require any when they order a 2nd time. As you can see from the image below, the key is any pick, using a similar mechanism to that found in the high security, insurance rated, Granit Padlocks.